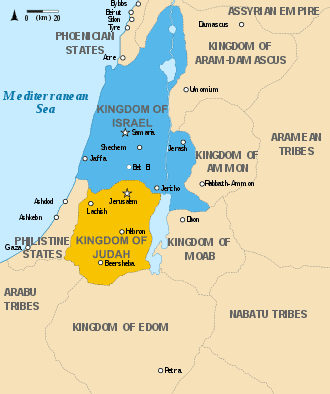 King Solomon was succeeded by Rehoboam but his failure to address economic issues between northern and southern tribes led to Israel’s division into two kingdoms; the Kingdom of Israel which included Samaria and Jericho, and the Kingdom of Judah with Jerusalem as its main city. 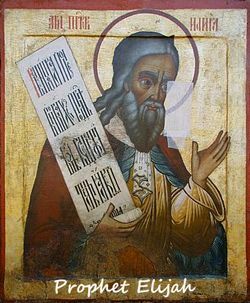 Elijah, a prophet, lived in the kingdom of Israel during the reign of Ahab (ca 871-852). Ahab was seen as wayward, leading his people to idolatry and the worship of the god Baal. Elijah warned the people against turning from God and prophecised a great drought as punishment, ending only at God’s command through him. The people didn’t listen. The widow did as Elijah instructed and God’s word was fulfilled. Neither the flour nor oil ran out during the famine which lasted three years; Elijah, the widow and her family ate daily from the supply. In the third year of the famine, God told Elijah to return to king Abad. On meeting the king, he challenged him and his prophets to invoke their god Baal. He invited them to bring two bulls, one for them to sacrifice to Baal and one for Elijah to sacrifice to his God. However, neither bull must be set alight but instead, each god invited to set their own sacrifice on fire. The God that sets it alight would, therefore, be the true God. The king accepted the challenge. Abad’s prophets prayed, danced, sang and mutilated their bodies in adoration of their god but he didn’t answer! Elijah then instructed the saturation of his sacrifice with water and as he prayed to God, “Fire from the Lord fell from the sky [and] it consumed the offering”. (1 Kings 18:38) As the astonished people repented of their sins and sought forgiveness, Elijah ordered the seizing of the false prophets and their execution. Afterwards, Elijah prayed to God again and rain fell on the land, ending the three-year drought. Elisha, who was chosen as Elijah’s successor, went with him and other prophets to Jericho and from there to the River Jordan. Elijah, knowing his time on earth was at an end, took his cloak, rolled it up and struck the river. Immediately, the river parted allowing Elijah and Elisha to cross over. On the other side, Elisha watched a flaming chariot and horses come between them and in a whirlwind, take Elijah to heaven. Elisha then tore his cloak and taking Elijah’s cloak, returned to the river, struck the waters and the waters parted allowing him to return to the other side. Elisha was now God’s chosen leader. New Testament: When Jesus took Peter, James and John to the top of a mountain and was transfigured, Elijah and Moses appeared alongside Him. When the Apostles asked Jesus about the second coming of Elijah as prophesied in Malachi (4:5), Jesus made it clear that John the Baptist was Elijah’s “second coming”. God will take his faithful people to Heaven, not a single one will be lost. Lord Jesus, renew my strength, support me in my times of trouble, stay with me and love me in my darkest hours. Amen. May, today, there be peace within you. 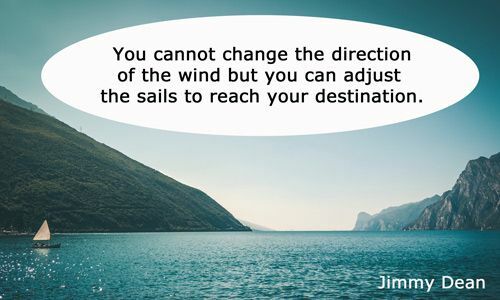 May you trust God, that you are exactly where you are meant to be. May you not forget the infinite possibilities, that are born of faith. Let His presence settle into your bones and allow your soul the freedom to sing, dance and to bask in the sun. CategoriesJesus' Life Stories TagsWho was the Prophet Elijah?